Are you tired of the tedious process of cleaning? Are you disgust with the residual taste of vaping? Are you yearn for a brand new vaping experience? Coil Master Ultrasonic Cleaner is super easy to operate. Simply fill the tank with water, set the 3-minute timer and then you can get a fresh feeling back to you! 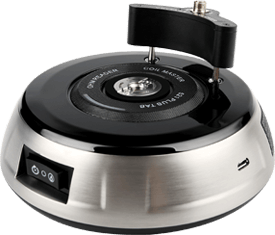 Coil Master Ultrasonic Cleaner is a powerful cleaner that gently cleans your vaping-related products, such as RTA,RDA,RBA,metal atomizers parts,screws,drip tips,etc. The tank holds up to 600ml of water and powerful ultrasonic energy wave sweeps away dirt, dust and grime quickly and easily. 6、Specialized for cleaning RTA,RDA,RBA,metal atomizer parts,screws,o-rings,glass tanks,drip tips,etc. I am really impresed with this device from coil master. It cleans not only my vape gear but my vape tools as well in 180 seconds. I recomend new users to read the instruction Manuel before using this product so it does not get damaged. This is a must have device for all vapers begginers or advanced. Another spectacular product from Coil Master! I just received mine in yesterday’s mail, it was late when my wife and I got home, so I didn’t look at it much other than to take it out of the box look it over to make sure there was nothing loose, frayed, or otherwise wrong with this item. I did not expect any issues nor did I find any, as it was I was hurting and tired and just let it be for the night. When i got up this morning though, that is another story; I got my 8 or 9 tanks that needed a serious cleaning, plus there are at least 4 that I missed, but I’ll get to them in the next couple days. I got everything out, took the sub tanks apart, put ALL the pieces in including the coils if any were installed. I think out of all the sub tanks there may have only been 1 or 2 that didn’t have a coil in it. Put 3 tanks and all pieces in at a time, 3 minutes and they were done, actually that isn’y quite true. I did a double cleaning on evry piece I put in, so about half an hour 40 minutes including adding, changing the water. Th end result, absolutely the best some of these tanks have looked since they were new. Even my wife whom I love dearly but isn’t necessarily into my vaping lifestyle, she knows what I like and some of the different devices and what not, but as a non vaper she doesn’t or isn’t always aware of some of what I do or am concerned about as a vaper. Any way, my wife even remarked that the last 3 tanks that I had sitting on a hand towel on our kitchen table to dry, said that the tanks and all the parts to them looked new! High praise to be sure, especially from a non vaper. I did take aquick scan through the instruction sheet, saw where you could use this Ultrasonic cleaner to clean items other than sub tanks and such. My wife said something about her one pair of glasses about how dingy they were,etc.etc. So, as the dutiful husband that I am, put her glasses in the basket, filled the tank with water, plugged the ultrasonic cleaner in, pushed the button….3 minutes later, my wife had nice clean shiny, but still scratched as hell glasses. They were good enough that she feels comfortable enough to wear them from time to time. After this, I can think of a few, quite a few other items that I could toss in and clean the ultrasonic way. This device in my opinion will revolutionize the way we vapers go about cleaning our sub tanks, clearomizer, RDAs, RTAs, tube mech mods, so many little things we use can be cleaned, hopefully can be cleaned anyway. I have some of my tools I can put in, tweezers and such that can be cleaned, The possibilities are endless, so many options that are now open, have an old dripper that is nasty, pop it into the Ultrasonic cleaner by Coil Master and in 3 minutes….6 minutes tops, you can have a brand new looking….whatever it was you put in to be cleaned! 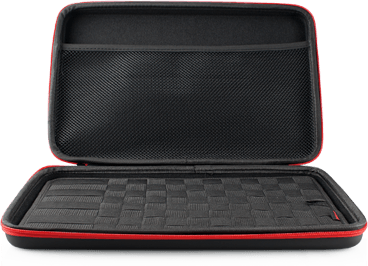 This is a fantastic new product from Coil Master, I have the 521 Tab, which still gets quite a bit of use, I have the ver. 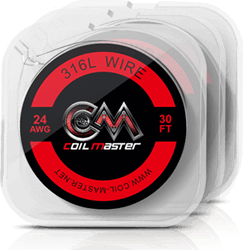 3 coil jig, which still gets quite a bit of use, I am a loyal customer of Coil Master, can’t wait to see what comes out next that I’m gonna want..er…need yea that’s it need. I’m sure it will be something quite useful and will compliment the rest of my Coil Master gear. Get this one though, this is one product once you see how well it works you will I promise you find more and more uses for it! Like this device, helps me to clean my deck’s. Also coils and wires. Coil Master only sells Coil Master products. 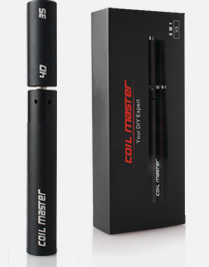 Coil Master offers FREE worldwide shipping on all orders,free DHL shipping on orders over $150! 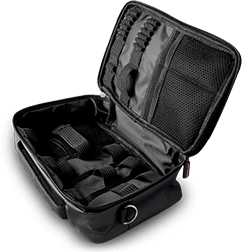 Delivery time: we will use China EMS (ePacket) for these countries(US, Canada, UK, Germany, France, Italy, Russia, Ukraine, Norway), normally take 7-15 business days,and others use Singapore post that will take 15-20 business days.All orders will be shipped from China. 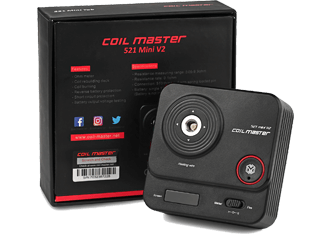 For 30 days after the date of purchase, return your undamaged Coil Master product and receive a full refund for ANY reason. 1.For orders purchased from www.coil-master.net please provide the order number and the photos or a short video about the issue that you want to solve about the products of Coil Master. 2.For products buy from local shop or other resellers, please contact the one you buy your products from and ask them for help. 3.For resellers, please contact the wholesale agent that you’re talking with and supply the photos and short videos with the broken Coil Master products.